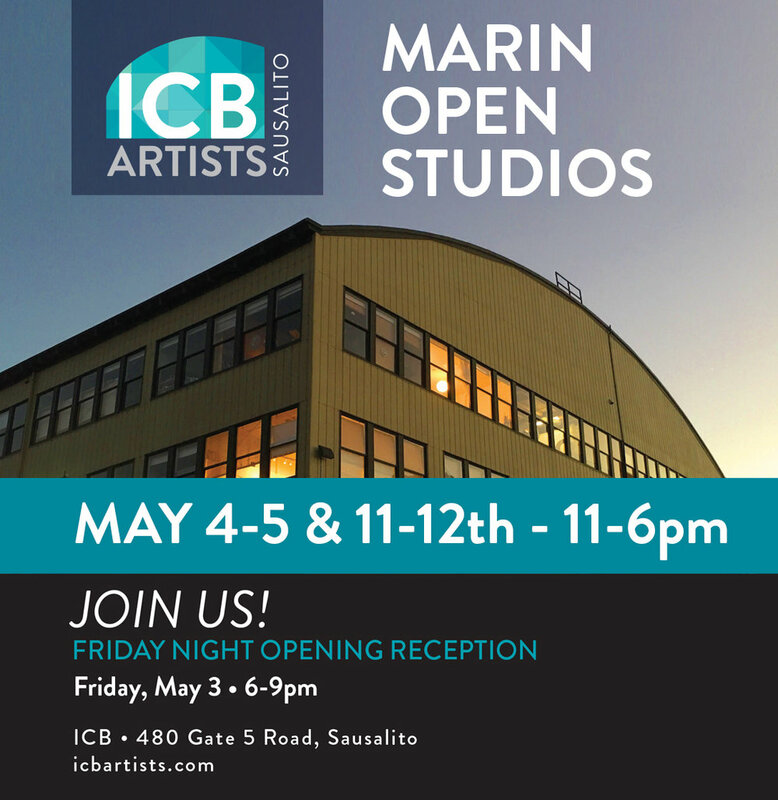 Please join us for Marin Open Studios during the first two weekends in May, from 11am-6pm. You can visit studios of hundreds of artists all over Marin, and the ICB in Sausalito will have at least 50 artists participating. Wander the halls of our historic shipyard building and see lots of great art! NOTE: Brooke’s studio will only be open for the Friday reception (May 3rd from 6-9pm) and the first weekend (May 4-5 from 11am-6pm). But you can always email and make an appointment to come visit her work if you miss it!